Monrovia – After five months of leadership struggle at the Liberia Football Association, Mustapaha Raji takes over the helm at the football house after his main contender stand down from the election process. According to Raji, it’s time for the FA to concentrate more on the pitch and forget about personal interest to ensure football develop. Delivering his first speech as president of the FA, he said football should be put in the center of the pitch. “We all need to work together, in elections we take sides but today we need to open our hands, work together to develop Liberian football,” Mustapha said. He assured stakeholders of his readiness to take all the positive criticism in the interest of developing football so that Liberia can be counted among the football nations that are competing for titles. He pledged his full commitment to work with the Ministry of Youth and Sports to move football from where it was under the administration of Musa Bility. “If any one of us came to the Executive Committee to make money you need to turn in your resignation now,” Raji said in a very strong tone. The former LISCR president said under his leadership, executive committee members would not take home honorarium. Raji disclosed that in the next four years he would work with the sports ministry to drive every sector of football beginning with women football and the Inter Schools Sports Association, which has been active over the past four years. 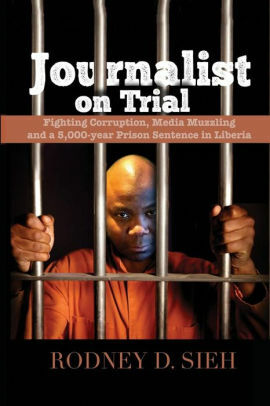 Raji replaces Musa Bility, who led the LFA for over past eight years. 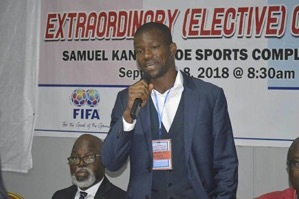 Stakeholders of Liberian football elected him Saturday September 8, 2018 on white ballot at the Samuel K. Doe Sports Complex following the withdrawal of Musa Shannon four days to what was expected to be a crucial poll. Out a the 39 voters, 28 voted in favor of Raji giving he and his two vice presidents and 10 Executive Committee members the authority to run the LFA for the next four years.